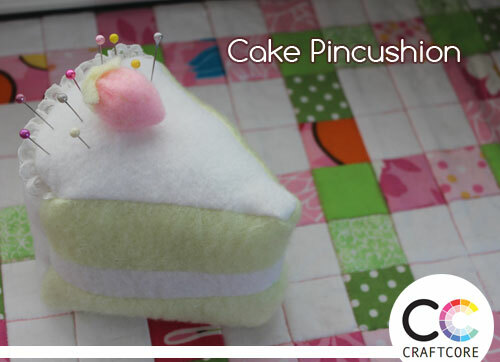 I have a bit of a sweet tooth, so this pincushion project is a great way to bring some sweetness to my craft room without the empty calories. 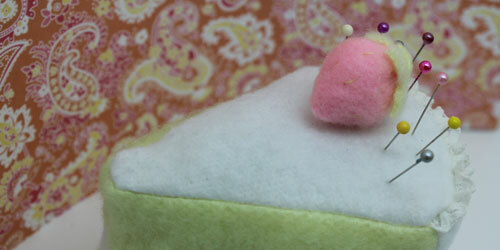 I made this little slice of cake pincushion out of some leftover bits of fleece and trim I had on hand. A little pink strawberry tops it off! 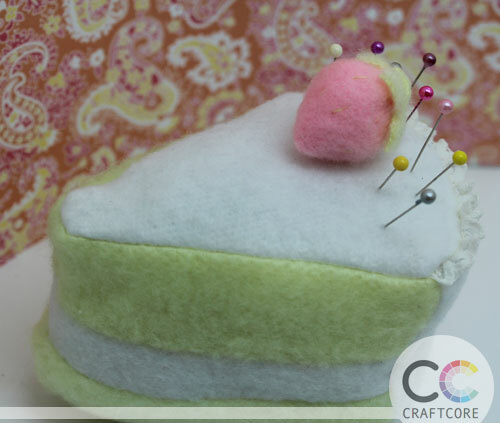 To make the pieces, I started by cutting out the rounded wedge shape for the top of the cake. I hand sewed a little lace to act like piped icing. I wanted my cake slice to have an icing layer in the middle of the cake, so I used three rectangles for each side piece. Not pictured: the rectangle for the outer edge of the cake slice and the bottom wedge. I didn’t use a pattern for this. I winged the design and thankfully it came together as expected! 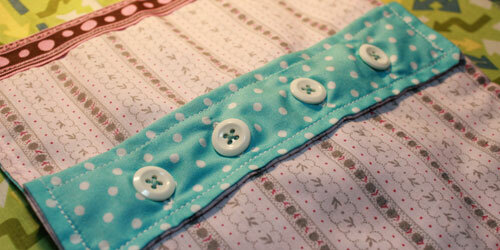 I used a combination of hand sewing and machine sewing. 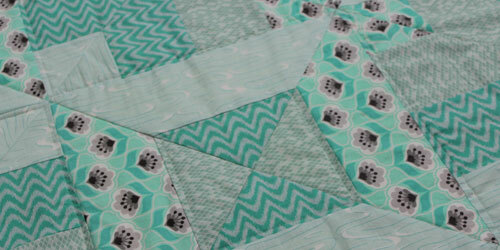 I started by sewing together my inner icing rectangles, then sewed the rounded wedge to the top. 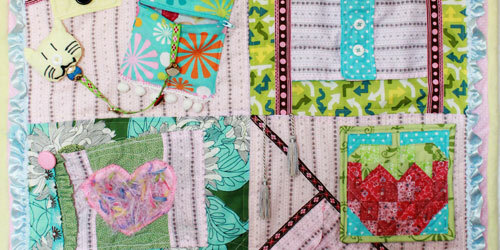 I sewed on the outside rectangle while leaving a hole for stuffing. 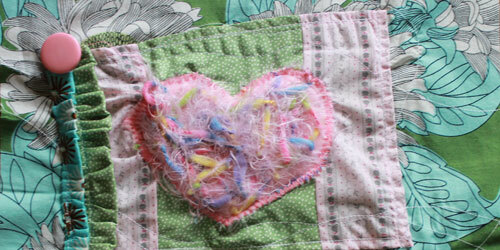 I flipped it right side out and stuffed it with leftover bits of quilt batting and hand stitched the hole closed. I made the strawberry out of a half-circle of pink fleece and gathered it closed into a strawberry shape. I hand stitched on some thread “seeds” and a little leaf top. I love it! It can be made in various flavors. 🙂 This is gift material… Thank you for showing how you made it.